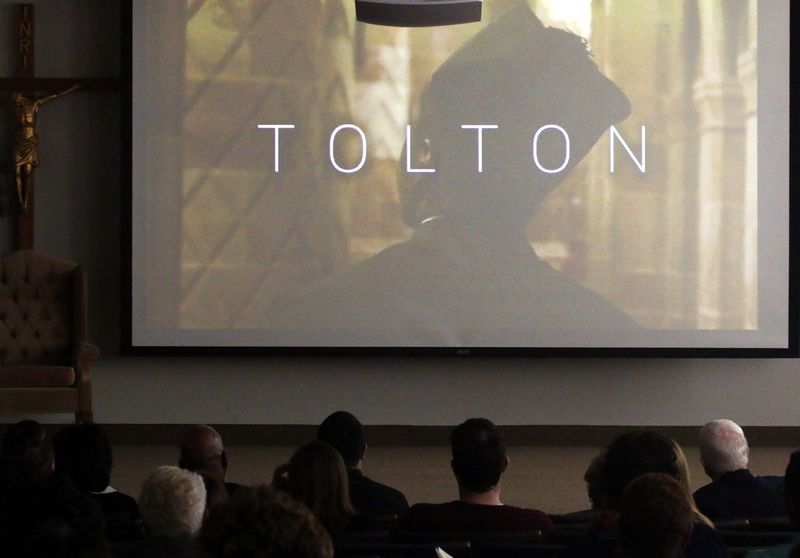 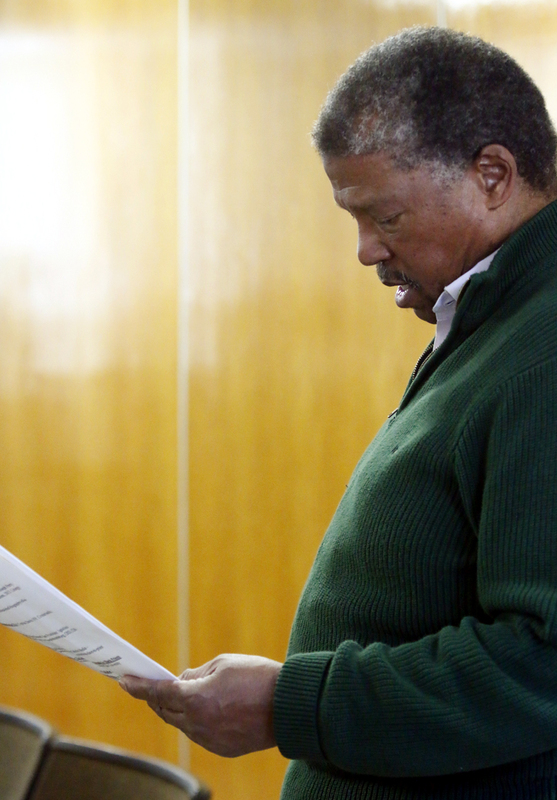 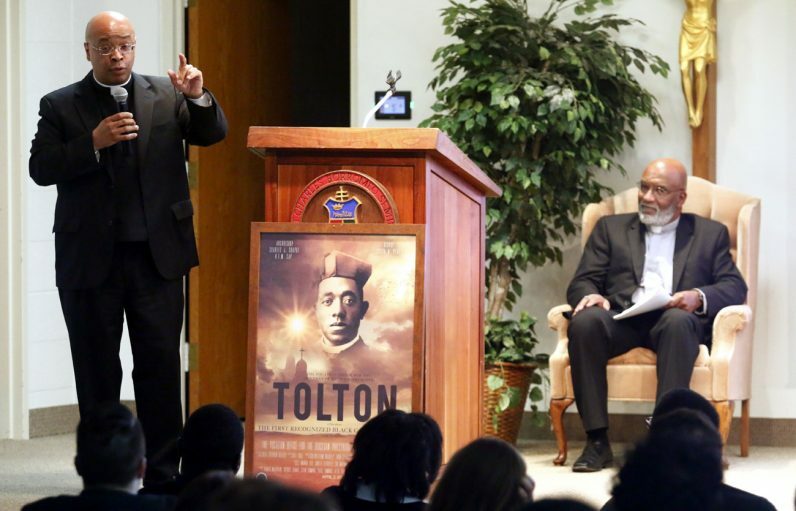 Bill Rose, director and producer of “Tolton,” introduces those who participated in the filming of the movie. 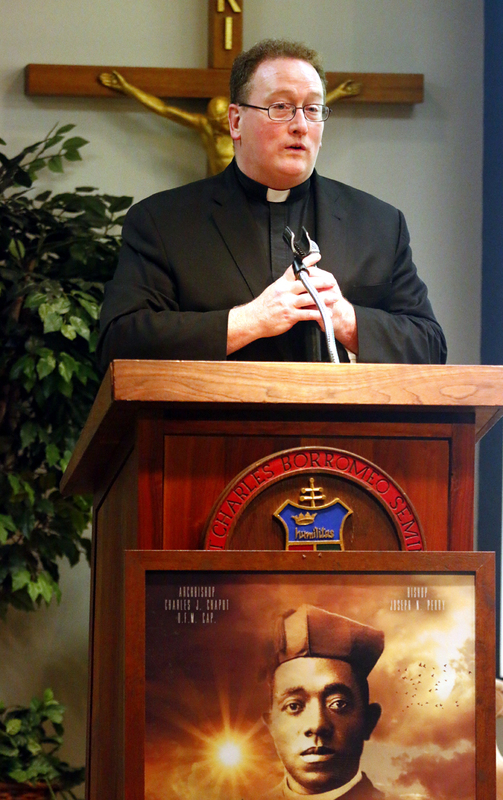 Father Stephen DeLacy, vocations director for the Archdiocese of Philadelphia, welcomes everyone to the “Tolton” movie premiere. 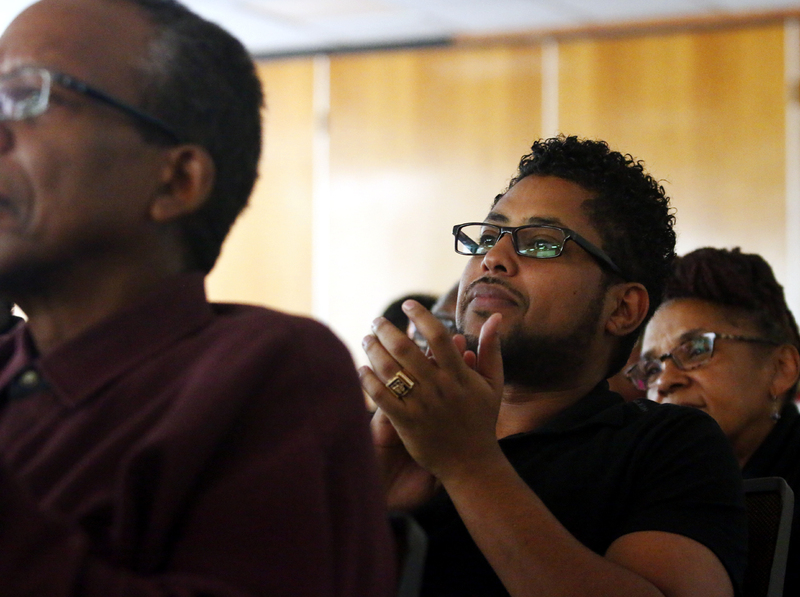 Vincentian seminarian Ben Melaku, who is Ethiopian, applauds the movie after the screening. 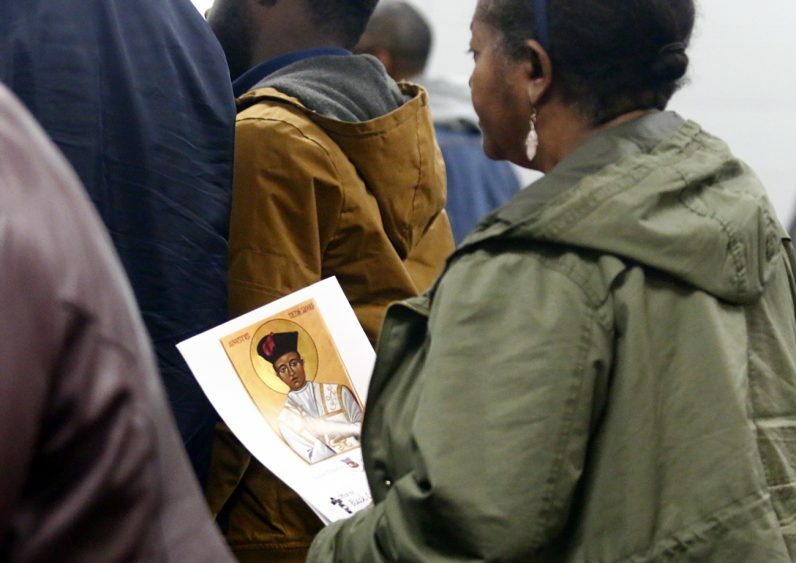 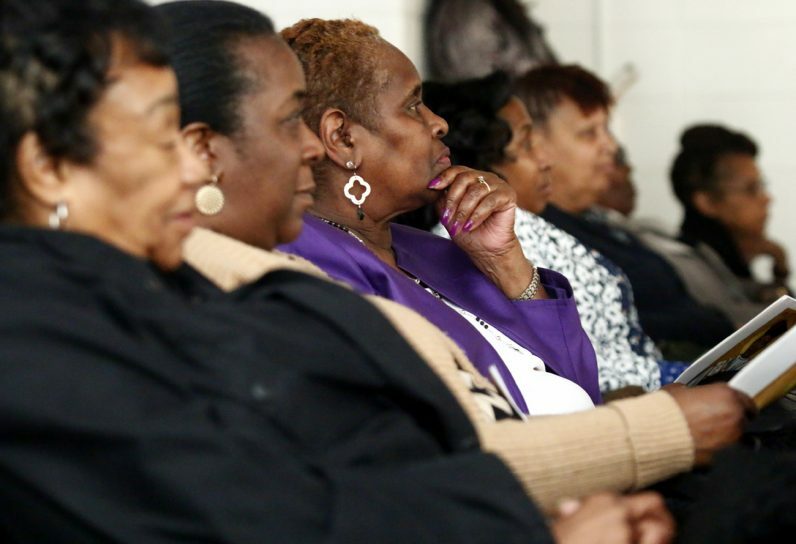 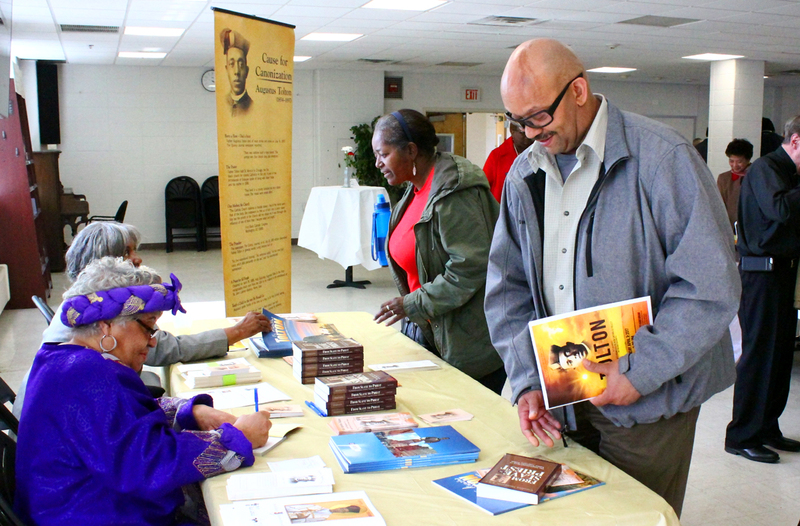 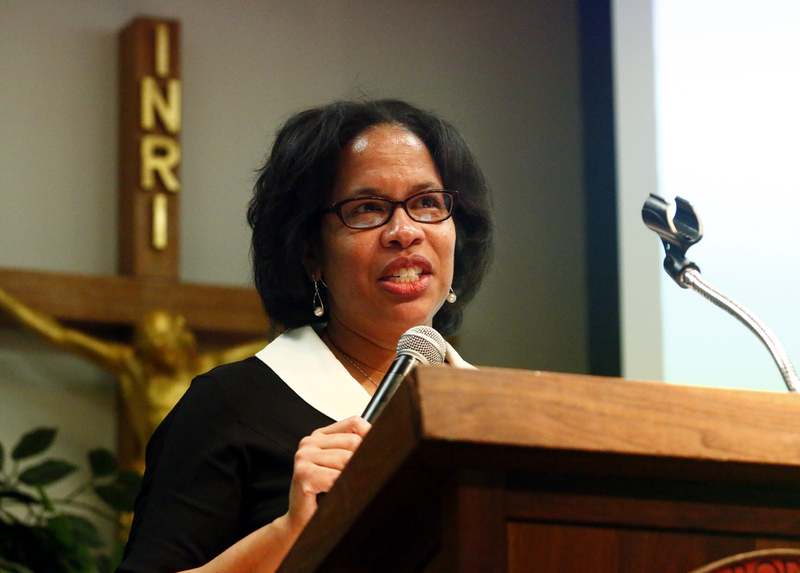 Paula Manchester, adjunct professor at St. Charles Borromeo Seminary, speaks on the history of Black Catholic priests. 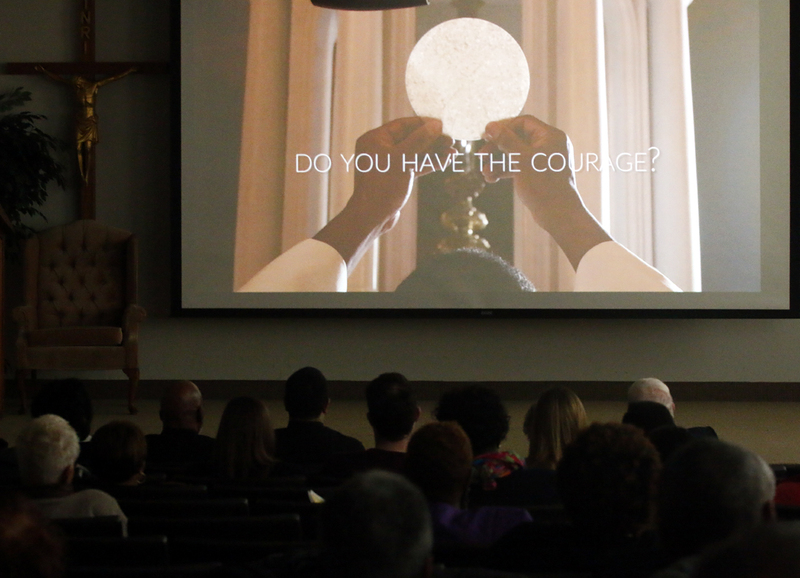 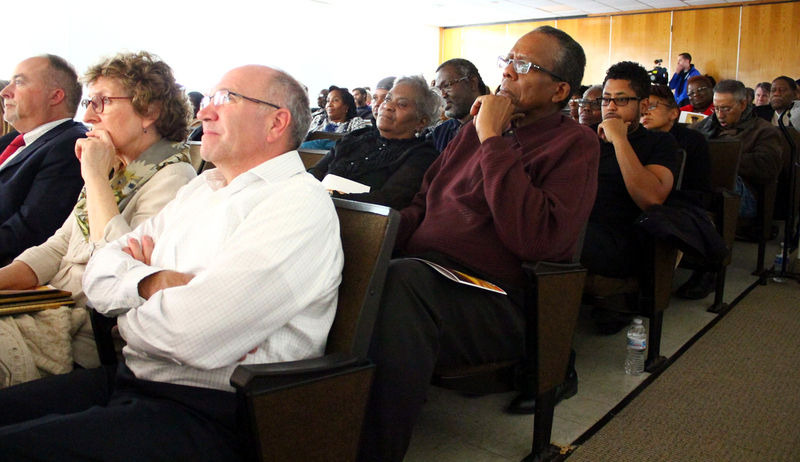 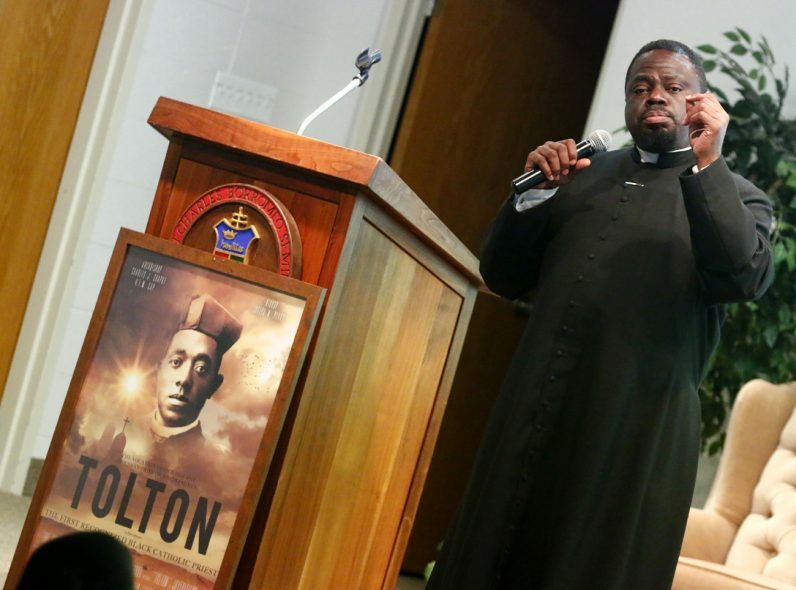 Father Stephen Thorne, African American Vocations Coordinator, speaks to the guests at St. Charles Seminary as Deacon William Bradley, director of the Office for Black Catholics, looks on. 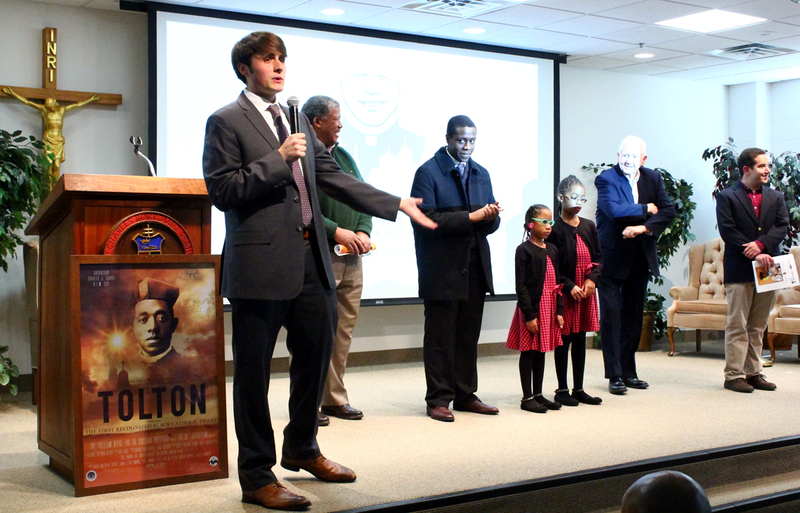 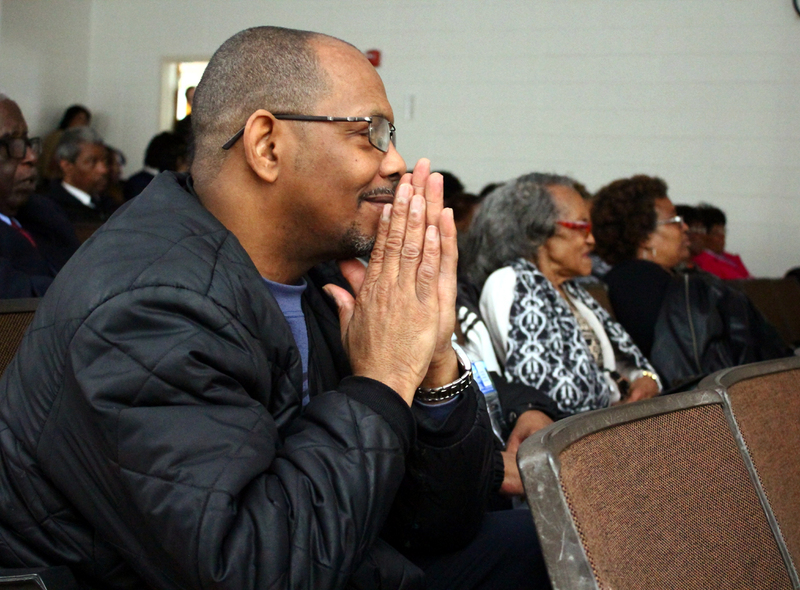 Harold McIlwain, who played the older Father Tolton in the film, prays a prayer along with the attendes at the April 2 screening event.